Metabolic cart testing is used to measure your unique optimal training zone. The optimal training zone is when you exercise at different intensities to meet different fitness goals. Some intensity levels burn more fat, some increase endurance, and some focus strengthening your heart. 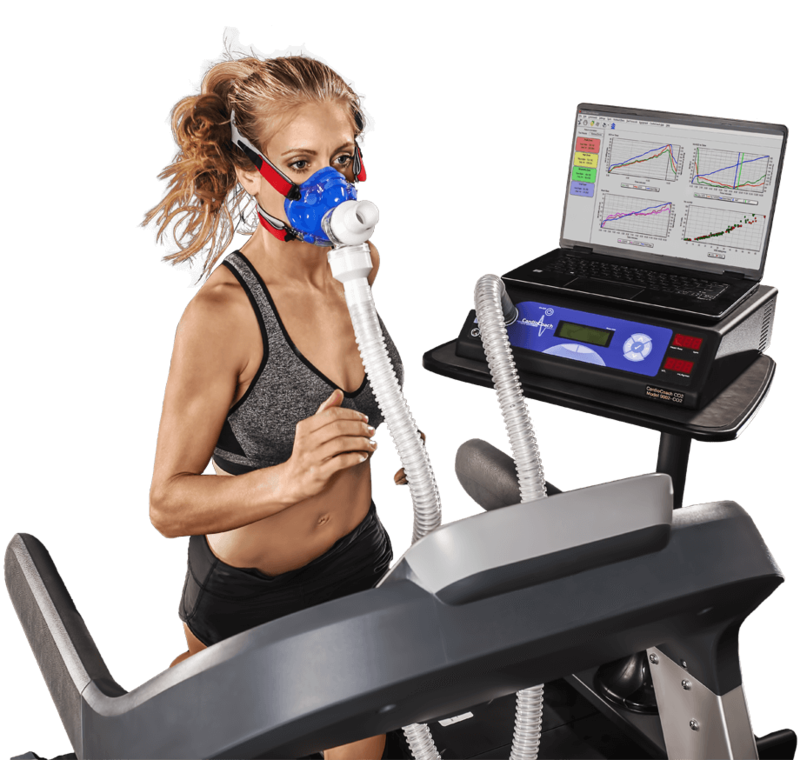 Metabolic cart testing and VO2 testing can help find your target intensity zones and pinpoint your specific heart rates required for each level. Fagan Sports and Lifestyle Medicine’s staff uses the CardioCoach CO2 metabolic cart to accurately measure carbon dioxide and oxygen entering and leaving your body during exercise. Having a board-certified physician, exercise physiologist, and nutritionist to interpret your physiological data is the key to ensuring that the exercise program and nutrition program will accomplish your goals. Lactate Threshold testing is valuable for competitive athletes who are looking to optimize their training regimens. It can help push their training without the risk of overtraining syndrome. The goal of this training is to learn the highest intensity at which an athlete can perform before hitting the wall from high levels of blood lactate. WHY PERFORM LACTATE THRESHOLD TEST? Lactate threshold testing is best utilized for athletes looking to increase their training intensity without suffering from overtraining. This test is similar to VO2 Max testing, although it consists of longer periods of time between changes in the training. 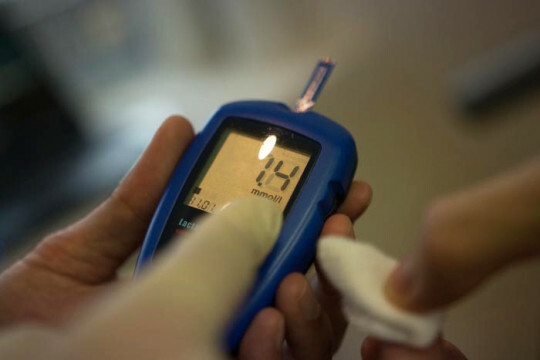 During high-intensity exercise, several blood samples are taken from the finger to assess the blood lactate levels. Knowing how many calories you need to consume to be optimally healthy is a long way from knowing what to eat. Fagan Sports and Lifestyle Medicine offers nutritional consultation in two distinct categories: general health nutrition and performance nutrition. Our certified nutritionists help you identify the foods you should be eating in order to lead a healthier diet. More is known now about the science nourishing athletes than ever before. Fueling athletic performance is not as simple as solving the “calories in = calories out” equation. Rather, our certified nutritionists work with you to evaluate your level of physical training and establish a diet to help maximize performance. The Performance Nutrition program addresses specific pre- and post-workout dietary strategies, while also laying out a plan that works hand-in-glove with your training plan. In order to set realistic goals, you first need to see where your body stands health-wise. You and your physician need to know how much fat you need to burn and how much muscle mass you need to build. With the BOD POD, your body composition is accurately available for you and your physician to make a diet and exercise plan that is uniquely designed for your body. With the BOD POD, we are able to take exact measurements of your body fat and muscle mass in order to fully understand your body composition. The BOD POD uses a process called Air Displacement Plethysmography to accurately determine your body’s mass and density. These measurements are used to set appropriate and reachable goals with our nutritionist and exercise physiologist, guiding you to your healthiest self. The BOD POD is the gold standard in body fat measurement. For the most accurate result it is recommended to be fasted for at least four hours prior to the test and no exercise as well. Women need to bring leggings, spandex pants, yoga pants or something of the like and a sports bra, preferably with no underwire. You’ll be asked to remove all jewelry prior to testing. Men, briefs or boxer briefs. The real key to weight loss is knowing precisely what your body needs. The only way to know just what your body needs is through Metabolic Testing. PhysIQ’s testing shows you what is going on inside your body, and we can help you find the best weight loss practices in order to find your ideal weight. THEN the RMR calculates how many calories you would burn if you were to do a moderate cardio exercise for 30 minutes. For the most accurate result it is recommended to be fasted for 4-5 hours prior to the test and no exercise as well.